This is a consultation event for an outline planning application to establish the principle of a development of up to 75 houses at London Road. We would like to get your input to help shape the proposal. This is a three hectare site located to the south of Great Chesterford. 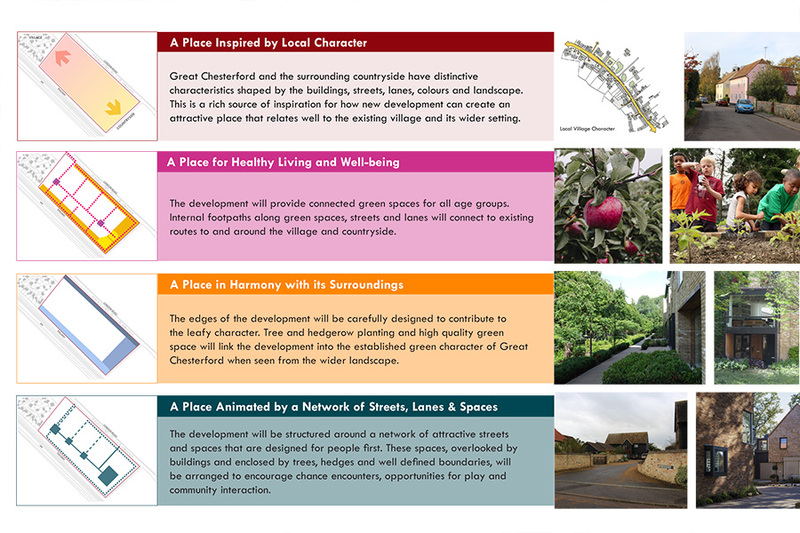 The aim is for a quality development that fits in with the local surroundings. We are Axis Land Partnerships. We have experience of bringing land through the planning process and working with local communities to deliver their aspirations. The team is keen to work with the local community to ensure this development is driven by local wishes and aspirations. We think the site is in a sustainable location. 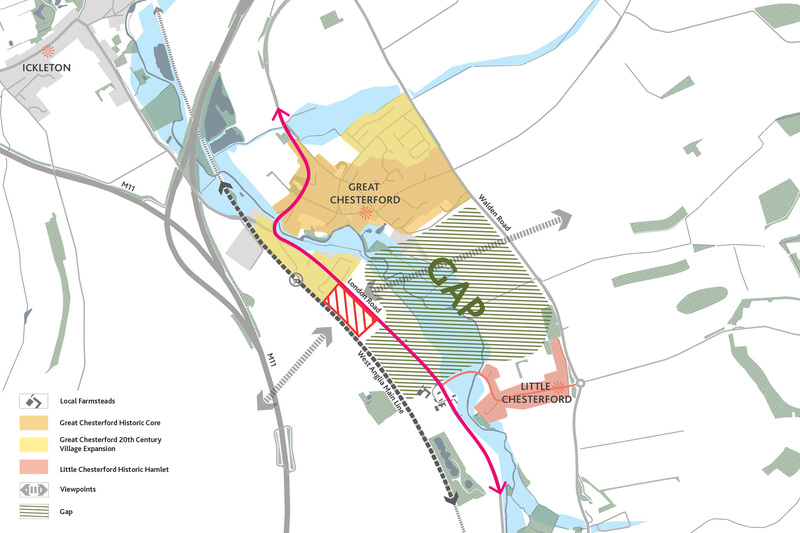 This means we think it already has good access to transport connections and employment, and is on land which does not have significant environmental constraints. Close to excellent employment opportunities. Within walking distance of Great Chesterford train station, providing services to Cambridge and London. Within easy reach of the M11. 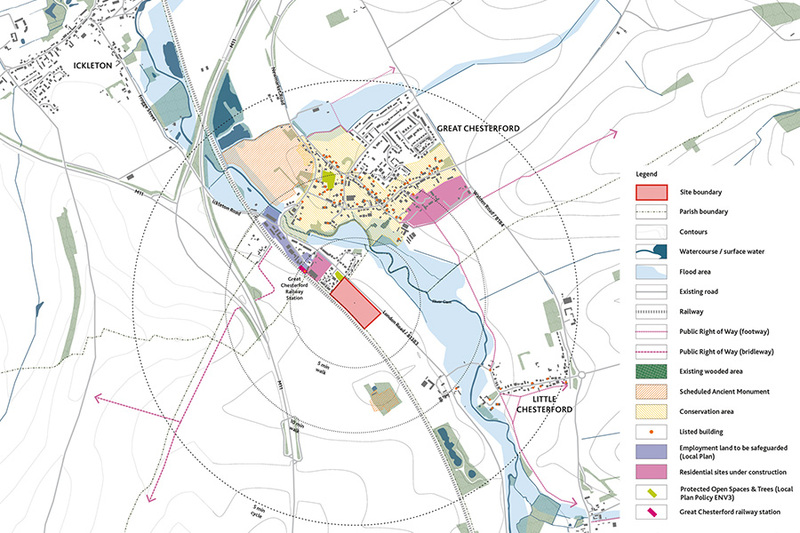 Comprehensive environmental surveys reveal no significant ecological constraints and no trees on the site. Designated heritage assets such as the scheduled monuments, listed buildings and conservation area would not be harmed. The location is in a low-risk area for flooding. Circa 3 hectares (7.5 acres) site. 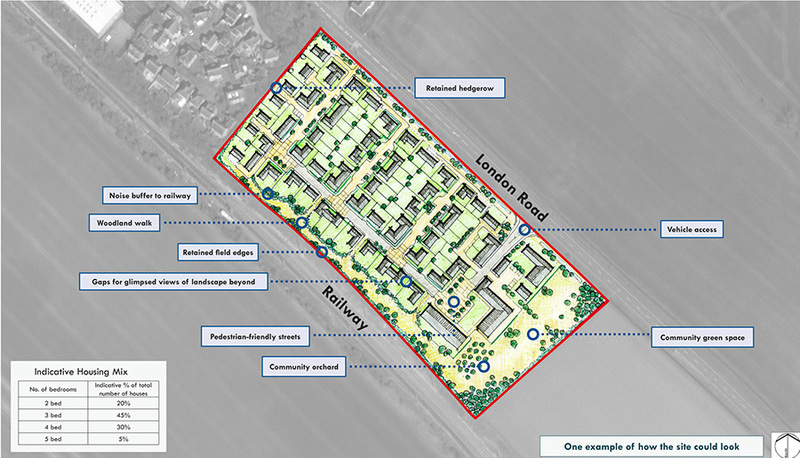 Local housing need for a range of house types and affordability. Character of Great Chesterford and Little Chesterford. Character of buildings within adjoining landscape. Views across landscape to higher ground. Nature of London Road, including traffic speed. 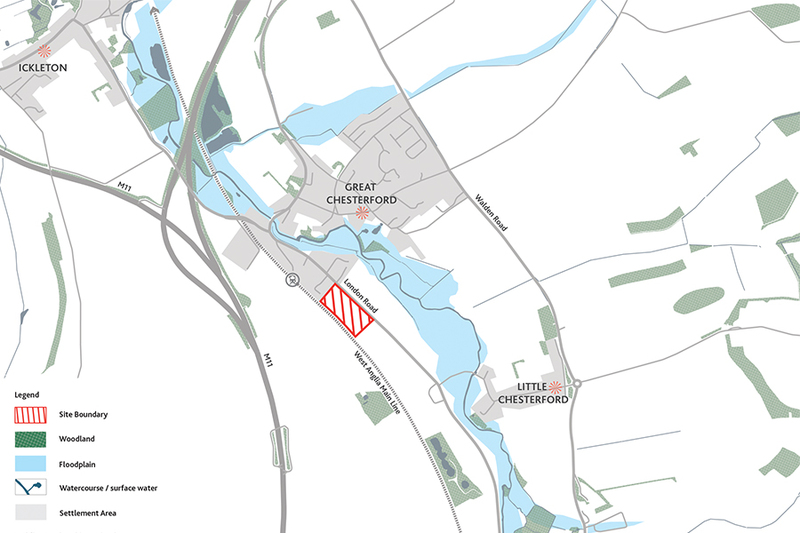 Limited access to public green space south of Great Chesterford. Existing hedgerows and field perimeters. Access to public transport to reach employment and other services. Our vision is to create a distinctive local village neighbourhood that provides new homes and open space for people at all stages of their lives. The character of the development will be shaped by the distinct qualities of Great Chesterford and the beauty of the surrounding landscape.